The phenomenon known as the Aurora Borealis, or its more common name the Northern Lights, is a vibrant display of colors that appear in the atmosphere when different gases collide with solar winds, creating a dazzling lightshow in the sky. You can read scientific papers all about auroral properties and accelerated particles, but the point really is they look pretty cool. For years, photographers have captured this ethereal sight, but as technology continues to improve, so does the quality of images that can be produced. Creative image makers have been dabbling in both landscape and action photography, that not only includes a primary subject in the frame, but also the aurora swirling in the background, accenting the image with a supernatural streak of colored light. Photographer Olivier Grunewald has been capturing the natural show of color and light in the night sky for many years. Visiting locations such as Norway and Iceland he has in this time been fortunate enough to capture some very unique shapes and colors, and the landscape of his locations provided added interest to his final images. While landscape shooters the world over seek out the conditions and timing in the hopes of capturing the “other-worldly” streaks across the sky, even outdoor adventure photographers and filmmakers have been getting into the scene, blending what would normally be great action or portrait photographs, with a landscape accented by the green and red streaks. Award-winning photographer Ray Demski, is one such example, who had the goal of capturing images of ice climbing while the aurora danced in the sky beyond the action. In order to make it happen, he traveled with climber Alex Luger to Lofoten in Norway where the cold temperatures and clear skies gave them the ideal conditions needed for both good and safe ice to climb, and a visible display of the Aurora. Even with the Aurora seemingly bright in the sky, Ray still had to use long exposures and direct some small flashes onto the climber to create a single original image – it was extremely important to him that the image not be a composite. 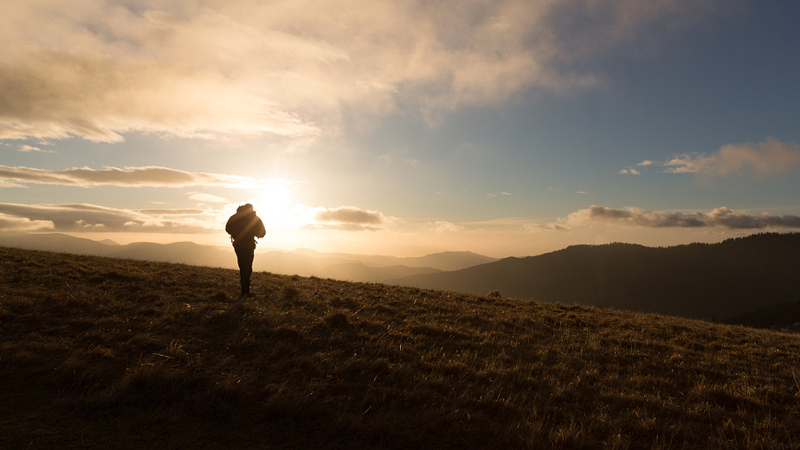 Working with paraglider Horacio Llorens, photographer Frode Sandbech got to find out just how cold conditions can get. 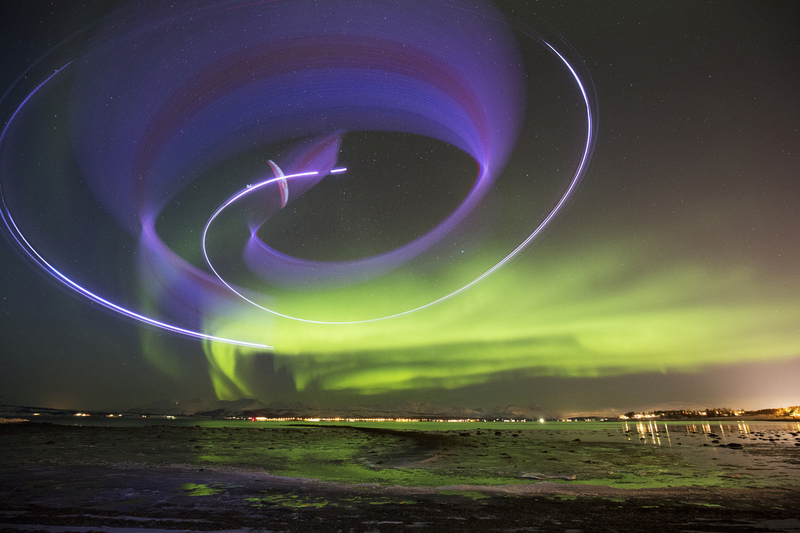 For their project they would be working together to capture images of paragliding right in front of the Aurora. Norway was again the location for the shoot, and the addition of the green waves of the aurora contrasting perfectly against the long-exposure streaks of light created from the paraglider certainly made the images. The immense difficulty in capturing this magical display in the sky only makes it more alluring for creatives to try and find new ways to incorporate it with their imagery, and as cameras become more capable of producing quality images in low light, it would be fair to say that we’re only just seeing the beginning of this trend.